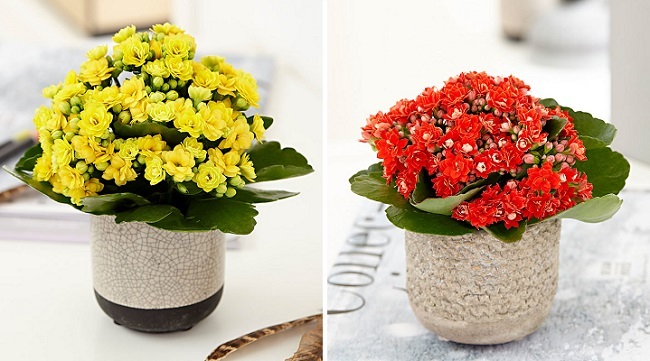 Decor your home with this Kalanchoe Plant with multiple colors and feel Special. It is very hardy plant and its flower remain for months. 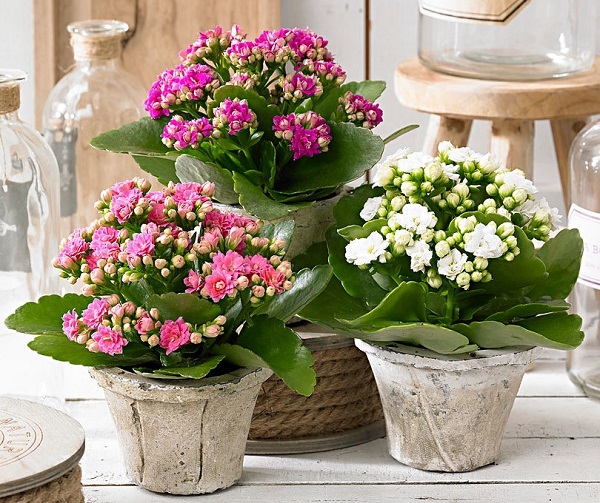 Magnificent forms, easy to look after and keeps looking good for a long time: these are the characteristics that make Kalanchoe a star amongst the flowering houseplants. An asset for enhancing the interior, but also a popular bedding, balcony or patio plant in spring and summer which can tolerate both sun and shade and blooms endlessly. 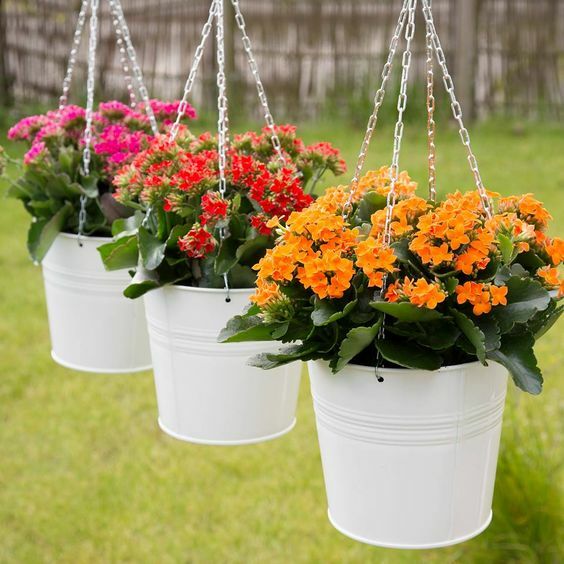 Kalanchoes that stand out because of their beautiful bell-shaped flowers or leaves. 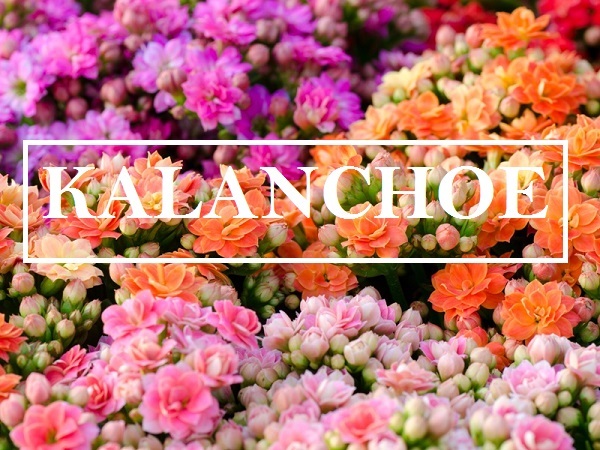 The name is derived from that latter country: Kalan Chau was ‘latinised’ into Kalanchoe. The plants come in many different colours: red, orange, yellow, green, white, pink, lilac, salmon and bicoloured varieties. The flower can be single or double-flowered. These Kalanchoes have sprays of pale green hollow cushions from which bell-shaped flowers emerge. 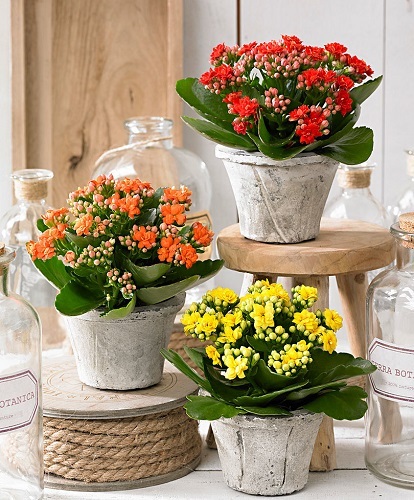 Kalanchoe works well in a display based on colour, is suitable for and can be lucratively for special seasonal occasions: red for Valentine’s Day, red and white Christmas, yellow for Easter, pink for Mother’s Day/Teacher’s Day and orange for the autumn. The mini varieties work very well in indoor gardening arrangements and table pieces, particularly combined with foliage Kalanchoes, Echeveria or Crassula. 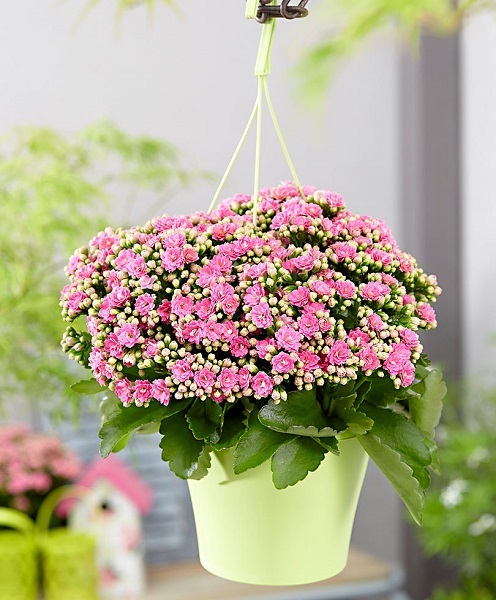 Their minis are also a suitable gift the children, as an easy first plant in the playroom. 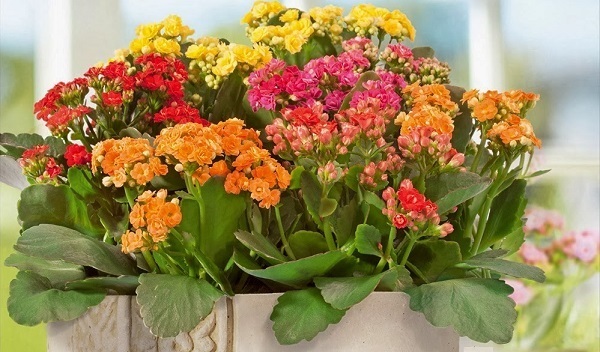 Kalanchoe is long-lasting in containers and baskets, a budget-friendly floral solution for the hospitality and commercial sector, and an ideal plant gift for students. 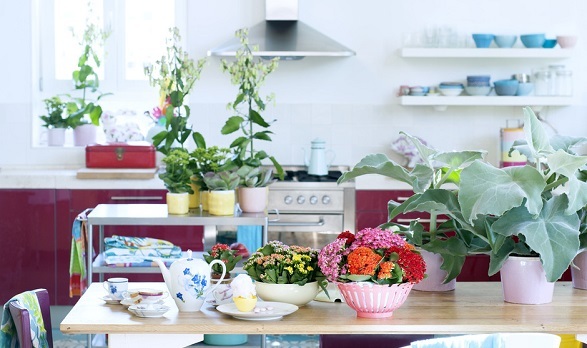 One of its strengths is that Kalanchoe can cope with sunlight and can therefore furnish a whole windowsill with colour. How much water should I give my Kalanchoë? After all, it’s a succulent? 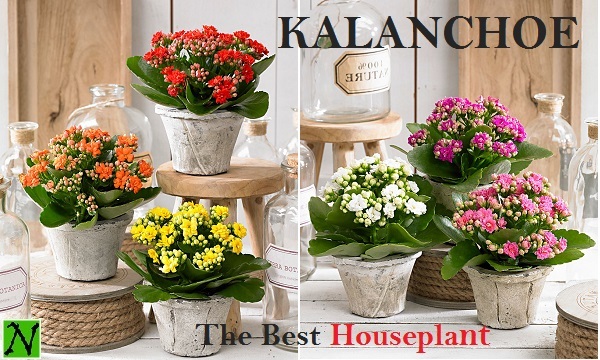 Give your Kalanchoë a little water every week during the summer and the same amount every two weeks in the winter. This will ensure that they flower and continue to look attractive for months. Should I give my Kalanchoë any fertiliser? Yes indeed. 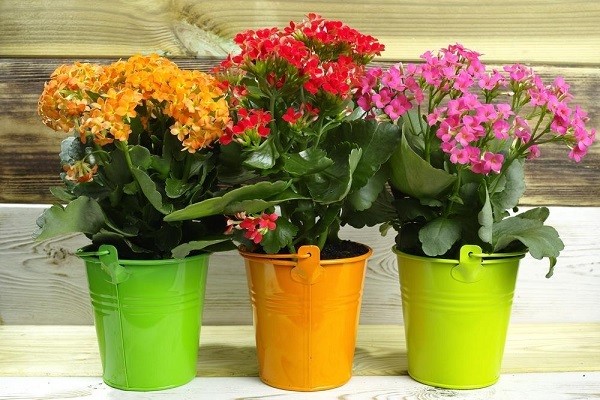 Your Kalanchoë will enjoy receiving a little fertiliser for succulents added to its water once every 2 or 3 weeks. Doing this will keep it attractive even longer (especially during the winter). It will produce even more flowers outdoors than indoors. And it doesn’t need a lot of water either: a moderately moist soil is perfect. Giving it a little fertiliser every month will be sufficient. 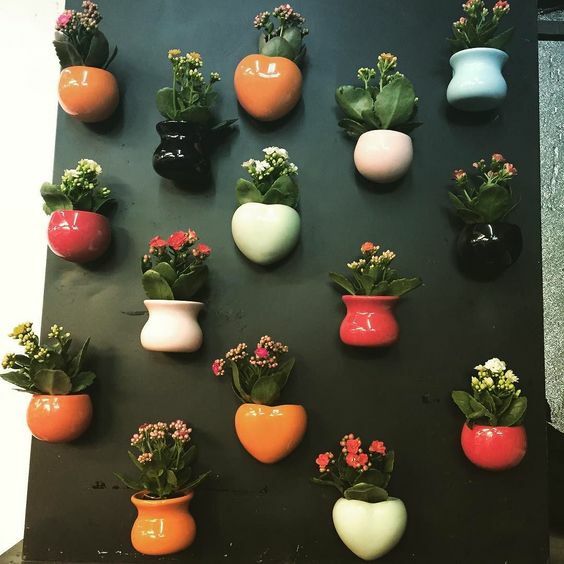 What is the best temperature at which to keep my Kalanchoe? 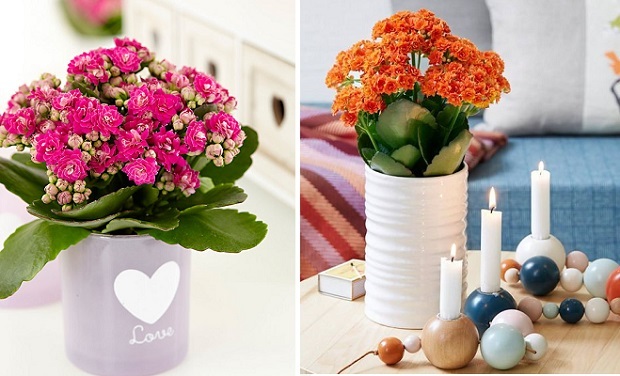 Room temperature is ideal, but your Kalanchoe will also perform perfectly well at temperatures between 10°C and 25°C. Where is the best place to put my Kalanchoe indoors? The best place for your plants would be where they will receive light. A Kalanchoë can also tolerate direct sunlight, so even a window sill facing the southwest would be no problem. Be sure, however, to provide enough water. 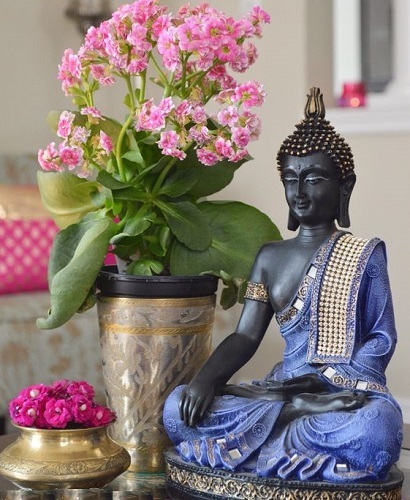 When can I put my Kalanchoe outdoors? 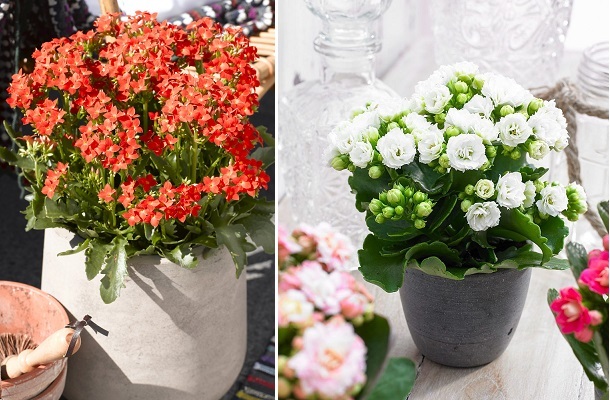 As soon as there are no more cold and the temperature is above 10°C, the Kalanchoe can be put outside on the terrace, the balcony, in the garden and on the patio. Can I place my Kalanchoe in the sun? Absolutely! The best location will be one that receives a lot of light. 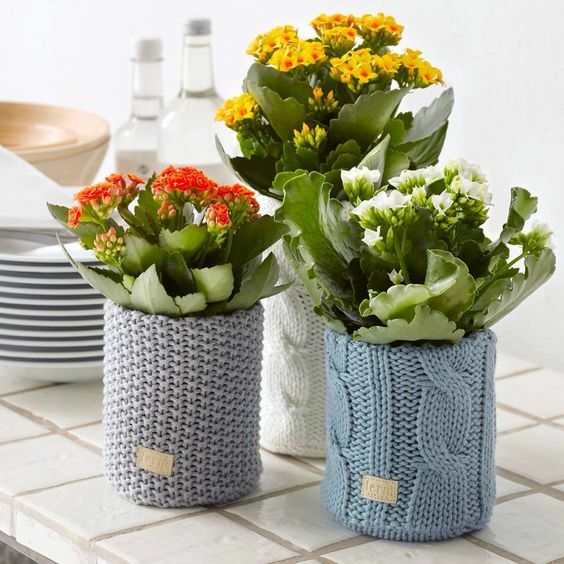 The Kalanchoe will thrive even in direct sunlight. The Kalanchoes houseplant will do very well in a well-drained soil designed for succulents and cacti. For good soil drainage, mix in plenty of sand or perlite with some peat moss. 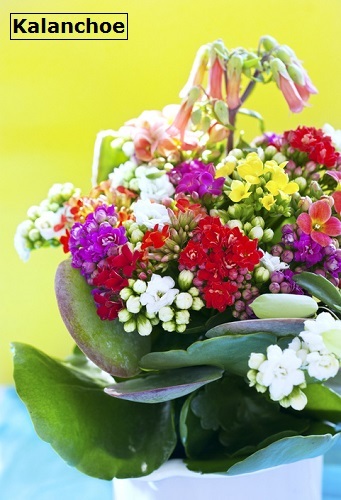 The best Kalanchoe plants grow easily from cuttings, with stems rooting very quickly.